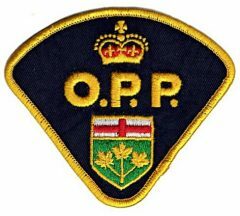 (SOUTH GLENGARRY,ON) – On August 21, 2017 at approximately 2:29PM members of the Stormont, Dundas and Glengarry detachment of the Ontario Provincial Police (OPP) responded to a six (6) vehicle collision on Highway 401, South Glengarry Township. Four (4) passenger vehicles and two (2) tractor trailers were involved in the collision where one person died at scene and five (5) others were transported to hospital with non-life threatening injuries. The investigation has indicated that a westbound tractor trailer on Highway 401 collided with an westbound passenger vehicle, which then collided with several other vehicles. The adult female driver of a passenger vehicle, Kimberly OOSTING (32) of Riviere Beaudette, Quebec was pronounced deceased at the scene. On June 6, 2018 The OPP Technical Traffic Collision investigators and SD&G OPP officers have concluded their investigation and have charged the driver of the westbound tractor trailer driver. He was released and is scheduled to appear at the Ontario Court of Justice in Alexandria on July 4, 2018.